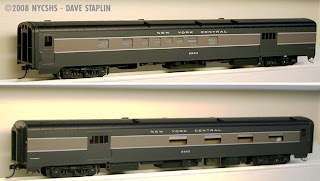 Dave Staplin presents his HO scale NYC baggage-dormitory 8963, Pullman Plan 7543, Lot 6789 (NYC lot 2184). The prototype was built by Pullman in 1948, and was scrapped in 1959. The model is a Great Brass Fleet import with additional detail added.